The Diamabrush Coating Removal Tool is the fastest, most effective tool for the removal of mastic, glues, adhesives, thin-set, and thin mil epoxies from concrete floors. Its patented design prevents the abrasive blades from loading up or clogging like other abrasive products, resulting in fast, consistent removal throughout the life of the blades. No need for heavy, expensive and hard-to-use grinding equipment. 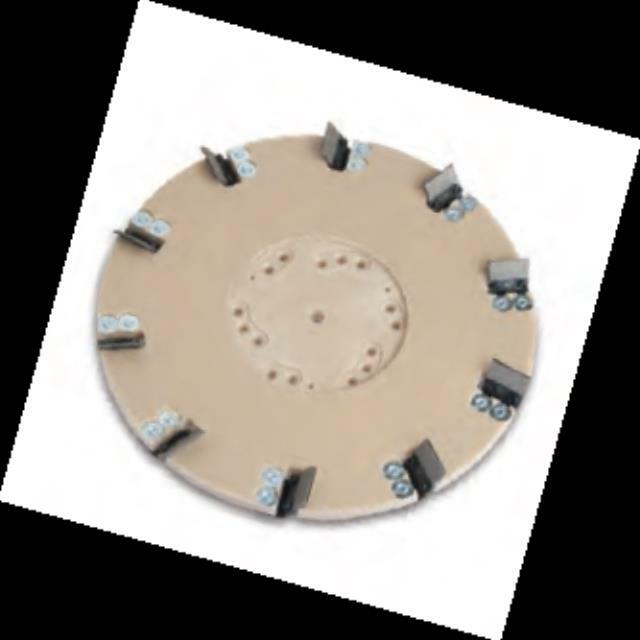 * Please call us with any questions about our floor 17 inch diamabrush removal disc rentals in South St. Paul MN metro area.